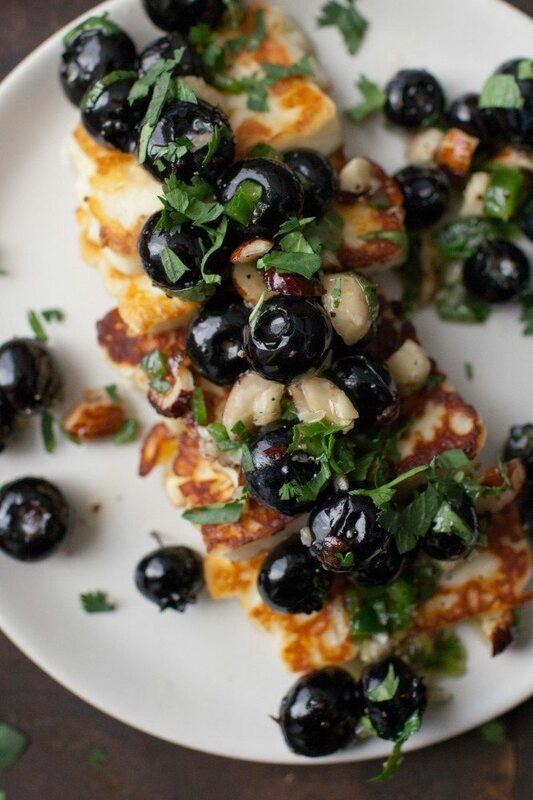 Grilled Halloumi with Blueberries and Herbs | Naturally. As of late, my husband and I came to the conclusion we were consuming too much food that was high in sugar (and by sugar I mean any thing that could be considered ‘added sugar’.) We were constantly like, “it feels like an ice cream night” or for my husband, it was realizing it was time to drop of sugar-laden beverages. It’s been a wonderful change and through this, it’s led to having a ton of fruit in the house. Our dessert now is a bowl of cherries or a handful of grapes (with an ice cream cone thrown in every once in a while.) However, with all the fruit in the house, I’ve been playing with recipes that showcase the fruit without heaps of added sugar. 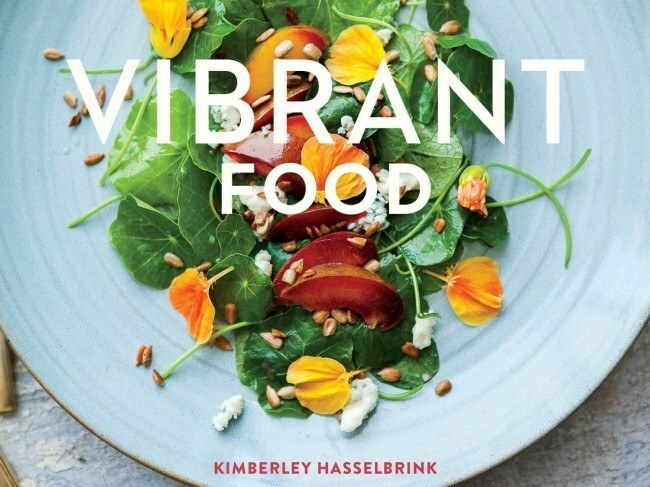 Today’s recipe is coming straight from the beautiful book, Vibrant Food, by Kimberley Hasselbrink (The Year in Food). There are so many gorgeous, approachable recipes in this book but I wanted to share this particular one because I’m all about salty, grilled halloumi right now and the fruit is really the main star of this dish. I switched up the recipe a bit (because I’m completely incapable of making something exactly as written.) I think blueberries and lemon is a lovely combination and I added hazelnuts for a bit of crunch. This is a wonderful appetizer or I even at a slightly larger portion with a bit of quinoa as lunch. 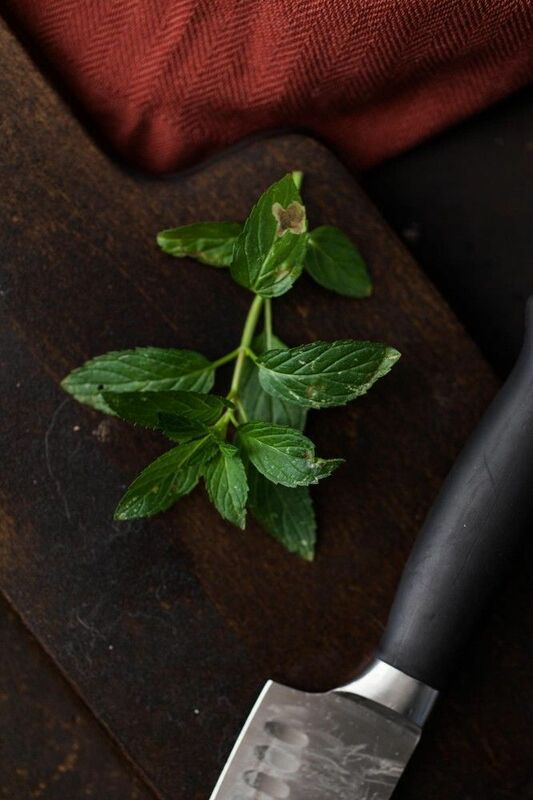 In a small bowl, whisk together olive oil, lemon juice, honey, and black pepper. 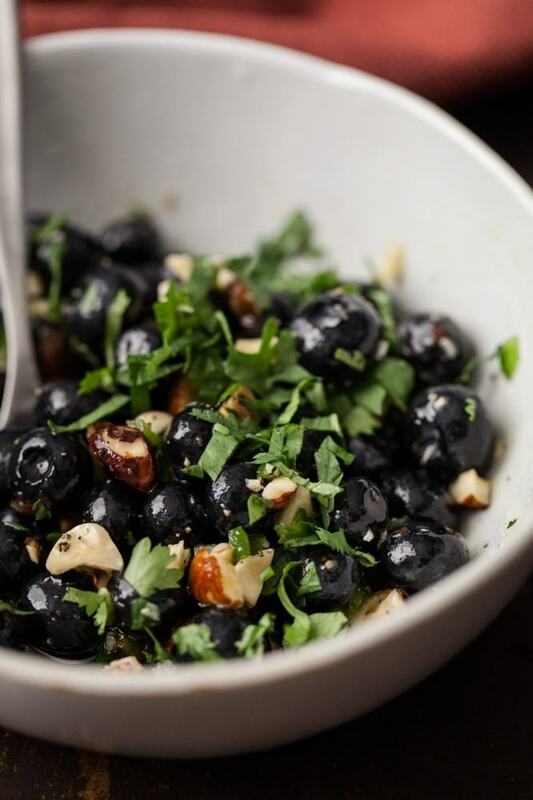 In a separate bowl, toss blueberries with chopped hazelnuts, pepper, 1 tablespoons mint and 1 tablespoons cilantro. Pour dressing over blueberry mixture and set aside. In a large skillet, heat olive oil over medium-high heat and add 1 tablespoon olive oil. Add halloumi and cook until golden, 2-3 minutes per side. Place cheese on a plate, spoon blueberries over cheese slices, and finish with remaining herbs. Serve while halloumi is still warm. *Original recipe calls for lime juice, agave nectar, serrano, and strawberries (and does not include the hazelnuts). We have a few too many ice cream nights too…something like this would be a great way to get the sweetness from the blueberries in with dinner!! Love this! I feel you. I’ve been eating way too many sweets myself. The fruit is so gorgeous right now there is no excuse not to be filling up on that! I love the flavor combination and I’m a sucker for warm cheese! 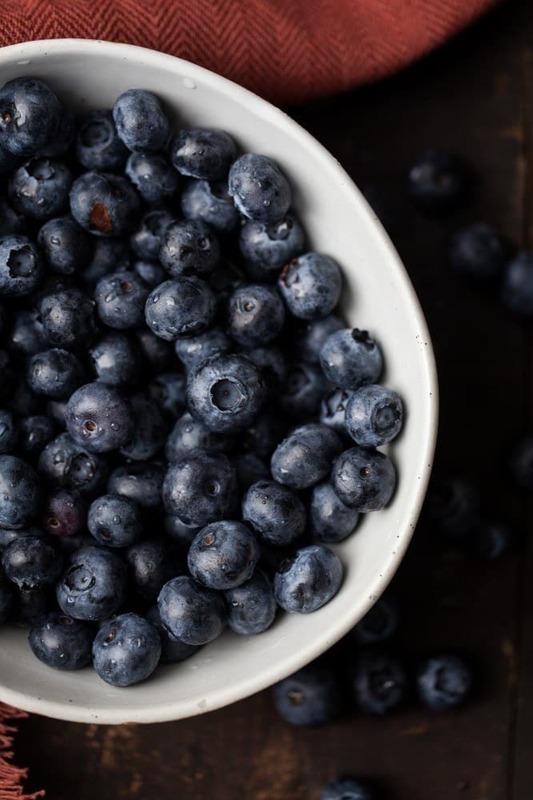 I love the colors here and am always looking for savory ways to use blueberries. This looks so wonderful and think your idea of serving it with quinoa (and I’d add in some arugula for greens) is just the thing for next week’s lunches. Perfect. Thanks! That combo is so crazy… I LOVE it. Sounds wonderful! What a great combo! 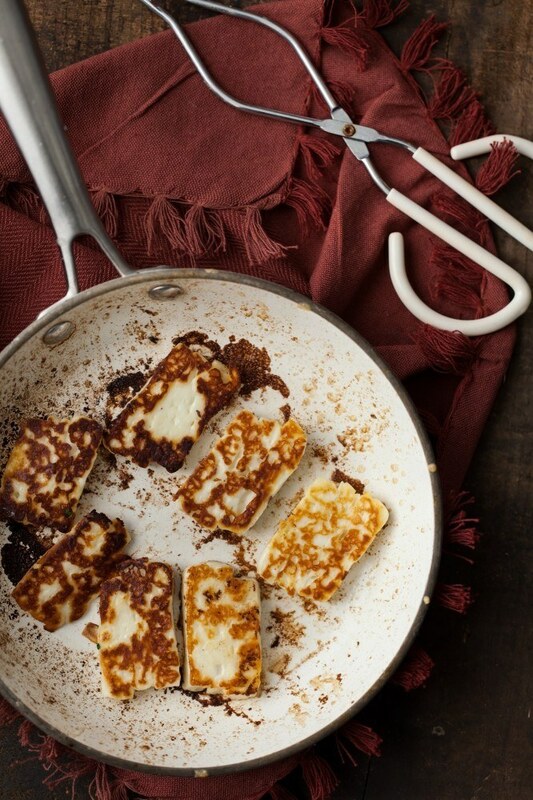 I’ve been hearing about this halloumi cheese everywhere but have yet to try it and this dish might just inspire me go looking for it! Wow! So gorgeous. I’m dying over all the summer produce right now! Love this recipe Erin – I love the combination of salty and sweet! With all the gorgeous fruit around right now, there is no reason not to enjoy some for dessert! This sounds delicious – I have never tried grilling halloumi but it is definitely on my must make list. This sounds really nice. I love grilled Halloumi and blueberries are my favourite fruit. I can see this in my future! Definitely a great recipe to keep. Love your take on Kimberley’s recipe – the hazelnuts sound like a really great touch of crunch and I’m so keen to try your version! 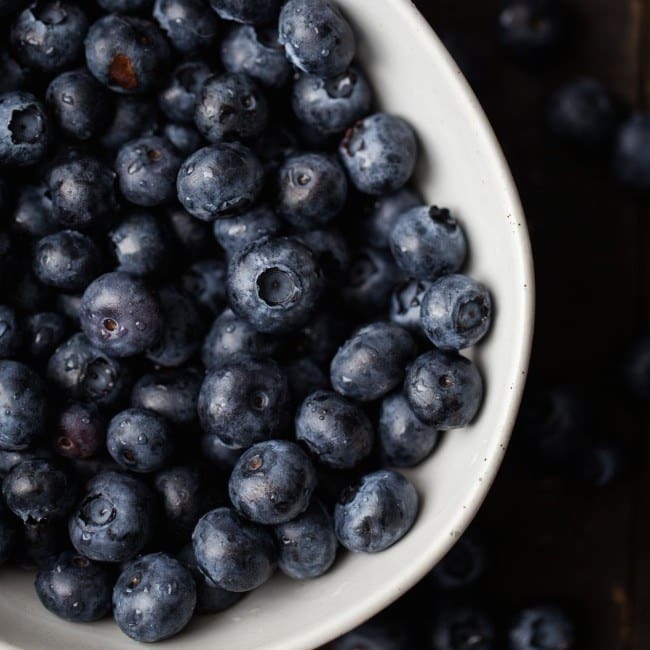 My husband and I have also been trying to reduce our sugar intake so this would be a fantastic way to still get a little bit of sweetness from the blueberries! I’d much rather eat my fruit with cheese than with more sugar anyway. 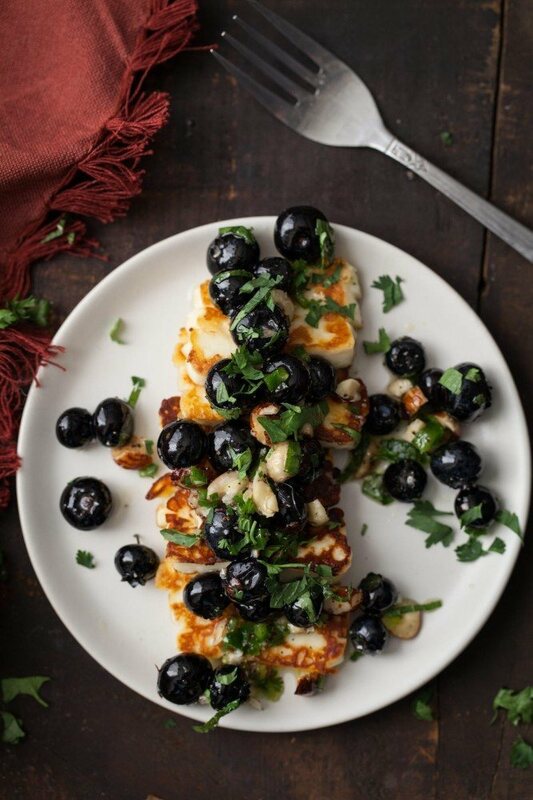 Love this blueberry halloumi pairing!! Loved this! Made it for lunch today and it was so good! So many flavors going on! I will make this again for sure! This was excellent! I made it for lunch today. It came together quickly and the flavors were all absolutely perfect together!